Marvin Musquin capitalized on Tomac’s mistakes at Southwick and reeled in his first Overall win of the MX season. Ryan Hughes come on to entertain and drop knowledge, EKS Brand head honcho Rich Taylor comes on to talk all things cool and we have Blake Wharton in studio for insight and infotainment! Head to PulpMX Show for the archive. Thanks to our sponsor BTOSports.com. BTOSports.com is your #1 source for motocross gear and accessories with Free Shipping WORLDWIDE. BTO Sports is your number one source for all of your motocross parts, gear, accessories and apparel. BTOSports.com is a motocross company who is truly dedicated to the sport. The PulpMX Show is also presented by Fly Racing. Fly Racing is the industry standard for motocross and off-road gear, as well as our hard parts and accessories. Also Fly Racing and parent company Western Power Sports are now a premier-level partner for the Lucas Oils Pro Motocross Championship. These are just a few ways that Fly Racing is becoming more and more involved in the sport that we all love. 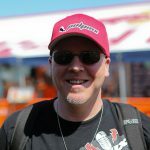 Check out what Fly Racing has been up to at their website FlyRacing.com and on social media @flyracingusa.